The women’s golf team is determined to make this year count. Using their driver, wedging their way into victory and putting themselves in a position of success, the women’s golf team has a caddy full of golfers ready to succeed. When the school day ends this team makes their way to the local country club to start their practice. 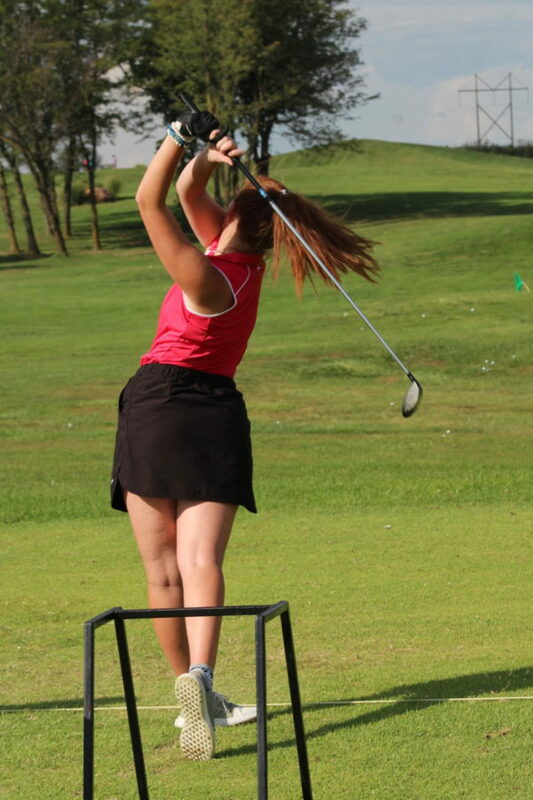 The moment their feet hit the ground on the driving range they are determined to make each practice count. Once the team arrives at the country club they start their practices out on the driving range and eventually they head out to the course in groups to play. Practice normally finishes off with putting; however, on Fridays they have shorter practices and they chip and putt. The members on the women’s golf team take their practices seriously and choose to use the time they have rather than waste it. Because of their hard work they got second at conference and districts this year. This team has been striving to do better this year and is determined to capitalize on their momentum. The current upperclassmen have been on the team since freshman year and look forward to a new season every year. The girls are itching to start a new season every year and this excitement applies to the coaches as well.